PS4 Technical Beta announced for GWENT! I've account for PC version. Can i use it to play gwent on ps4? You need a PSN account. Is there a chance the client in the future may handle these kind of problems more gracefully than "oops" crashing? We're constantly working together with GOG on improving technical aspects of the client as well. I gotta go with my dude Iorveth. We had some issues with login servers yesterday but it should be fine now. 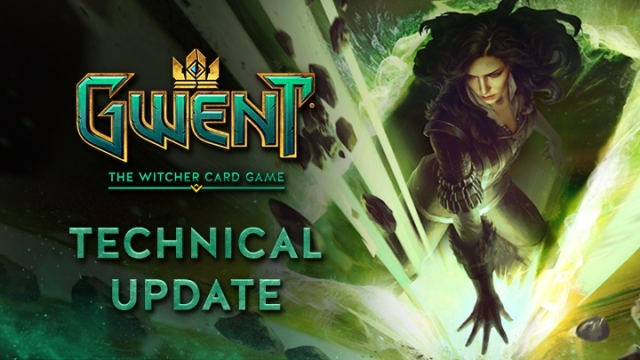 If you still encounter problems, please contact our tech support via playgwent.com/support. We've had some problems with our servers yesterday but all should be good now. Please try contacting our tech support. They should be able to help. 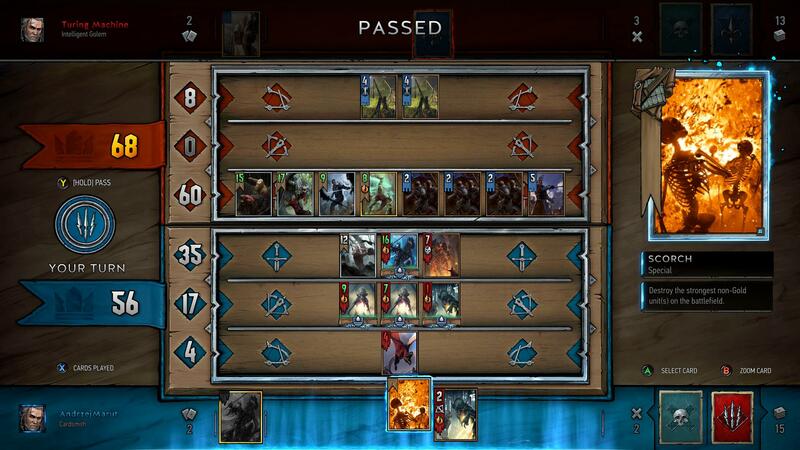 We would like to announce a weekend-long PlayStation 4 Technical Beta for GWENT: The Witcher Card Game. 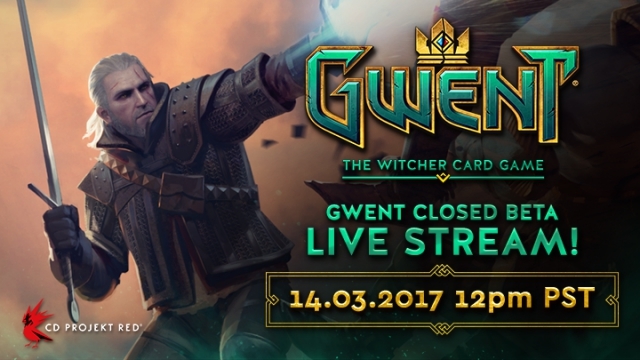 If you want to check out GWENT on your PlayStation 4 you can do so starting Friday, March 31st, 19:00 CEST. The Technical Beta will end on Monday, April 3rd, 08:00 CEST. During that time players will be able to create their own decks, check out the tutorial and participate in online casual matches. The game will be available for download from PlayStation Store. 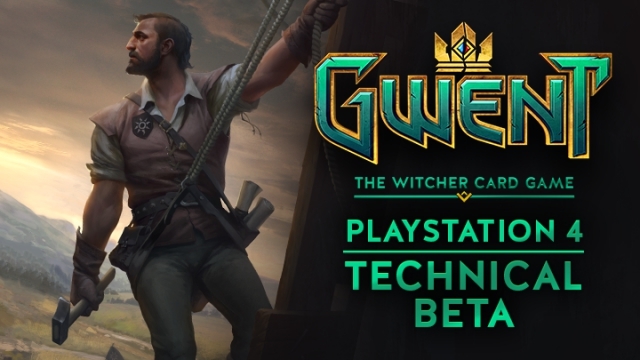 Q: How can I access GWENT: The Witcher Card Game PlayStation 4 Technical Beta? 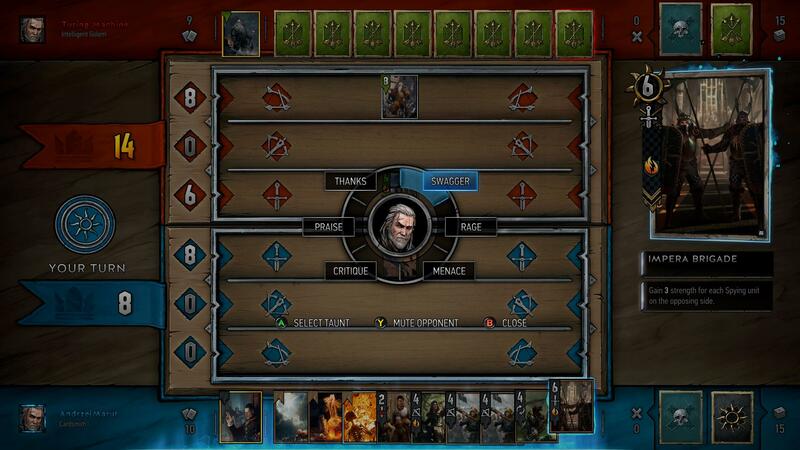 A: The only thing you need to do is enter PlayStation Store and download GWENT: The Witcher Card Game Technical Beta. Q: When will the Technical Beta be live? A: The Technical Beta will be launched on March 31st, 19:00 CEST and end on April 3rd at 8:00 CEST. Q: What regions are participating in the Technical Beta? A: The Technical Beta is available in Europe, North America and South America. Q: What game features and functionalities will be available in the Technical Beta build? A: The Technical Beta build will allow players to create their own decks, play the tutorial and online casual matches. Q: What’s the purpose of the PlayStation Technical Beta? A: The Technical Beta’s purpose is to test how the game works on PlayStation 4 with many users playing simultaneously. Technical glitches are possible, but the game is already fun! Q: Is there any chance you’ll extend Technical Beta tests? A: We’re not planning to extend the Technical Beta. Q: Is PlayStation Plus required to participate? A: A PlayStation Plus subscription is not required to participate in the Technical Beta. Q: Can gamers purchase in-game items like Card Kegs during the Technical Beta? A: Real currency purchases are not available in the Technical Beta. Q: Are you planning to wipe progress made while playing the Technical Beta? A: After Technical Beta is concluded, GWENT Technical Beta accounts will be deleted. Q: What language versions are available in the Technical Beta? A: The Technical Beta is available in: English, German, Russian, French, Brazilian-Portuguese, Spanish, Latin American-Spanish, Italian and Polish. Q: Can I share in-game screenshots and video footage? A: We’d be very happy if you did! However, please remember that this is still an early version of the game, so some bugs and glitches might occur. We’d be very grateful if you mentioned that what you’re posting is Technical Beta footage. Q: How much HDD space will I need to install the Technical Beta build of GWENT? A: You’ll need about 3GB of free space to install the Technical Beta build of GWENT. Q: Do I need internet connection to participate in the Technical Beta? A: Internet connection is required to play. Q: Can I get Trophies for playing the Technical Beta? A: While Trophies will be available in the final game, you will not receive any for playing the Technical Beta build. Q: How can I report a bug or contact tech support? We had a problem with our servers earlier today but it should all be good now. Sorry about the inconvenience. Hotfix for GWENT: The Witcher Card game now available! We’ve just released a small update for GWENT on PC and Xbox One, which improves the game's overall performance and stability. The update also adjusts the Henselt and Promote cards to work with positioning recently introduced to the game. You'll find their updated tooltips below. Rest assured guys, the campaign is coming and it will be great! It's a glitch. After you restart the game, everything should add up correctly. Also, it won't hurt to contact our tech support. The more information we have about this bug, the better. Any gwent events or booths at e3 2017 this! We always try to attend all major gaming events. Even when we don't show anything, there's usually a group of REDs roaming the show floor. 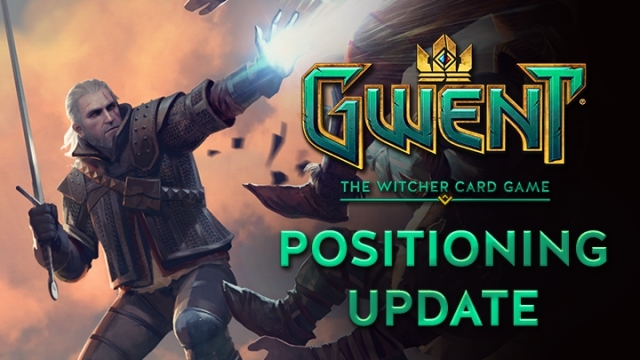 One update to position them all — positioning update now available! It’s been a busy time for GWENT, with our visit to PAX East and the announcement of GWENT Challenger — an official The Witcher Card Game tournament. And it actually gets busier from here on out. We’ve just released a new update for the game and we’re here to tell you more about the features it introduces, how they lay the foundations for what we have in store for you in the future, and what that’s going to be. One of the major features of the latest update is Unit Positioning. You can now choose where you want to place cards on the row — this change factors heavily into how abilities interact with units on the board. Up to this point, there haven’t been many ways to let your opponent know what you’re thinking. This changes with Taunts, short phrases that allow players to communicate by clicking on their avatar. The board now features a Move History. It lets you review which cards have been played over the course of the match, which can come in handy when you’re looking to outplay your opponent. Like they say, knowledge is power. Speaking of the board, we’ve given it a general facelift to make it more legible and accessible, letting you see more even when you’re in the heat of battle. The latest update also introduces changes to cards and tweaks improving the balance and overall experience. There’s actually a lot of those. You can check them all out in the full changelog. 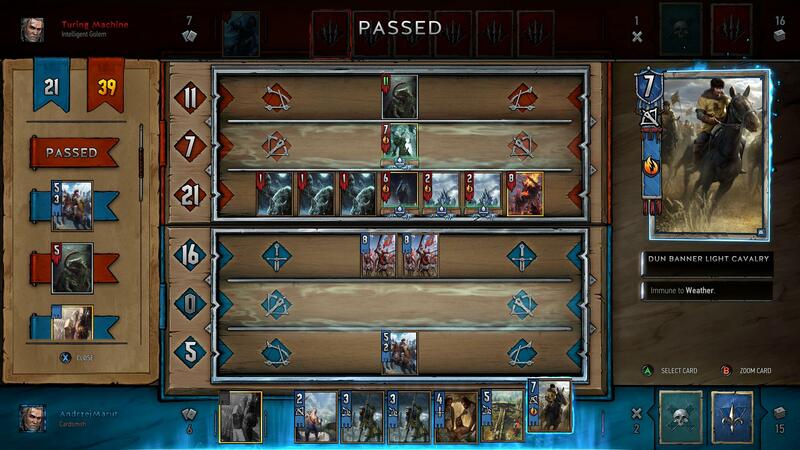 The updated board and visual tweaks introduced in the Positioning Update are a first step of a visual overhaul coming to GWENT. This isn’t going to happen overnight, but rather over the course of the next several major updates. To give you a sense of what to expect, we’re talking new targeting indicators and card highlights, card movement animations and shadows, and unique effects for abilities. We’ve got more premium animated versions of cards in the works, with the plan being for every card in the game to have its own animated variant. We’ll definitely be hiding some easter eggs in there, so make sure to be on the lookout for these once they’re in the game. 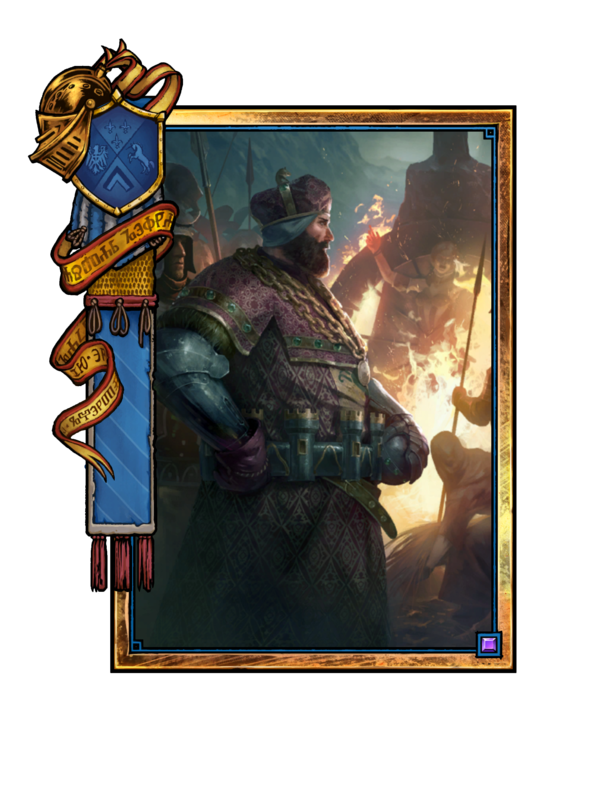 We are also committed to adding more cards to GWENT in general in the not-too-distant future. And with all these new cards set to arrive, as well as other upcoming changes, starter decks will be getting a refresh, too. Card abilities and descriptions will be getting a revamp as well, so that they’re more intuitive. A big part of this will be standardizing how certain cards work and behave after being played, resulting in simpler and more reliable ability priorities. Using this chance, we’d like to thank you for the amazing support you’re giving GWENT. You comments and suggestions are a tremendous help in shaping the game and making it a better experience. Any one got the small update? what it's about ? This is just a small back-end update on Galaxy side. Nothing directly related to gameplay. We’re excited to announce GWENT Challenger — an official GWENT: The Witcher Card Game tournament organized in partnership with ESL. The tournament will pit 4 best players from the community against professional gamers: Trump (Jeffrey Shih), Lifecoach (Adrian Koy), Noxious (Kacem Khilaji) and ppd (Peter Dager). GWENT Challenger finalists will compete for a total prize pool of $100,000. “It’s a real privilege to observe how active GWENT players are in the realm of competitive gaming. Community-powered tournaments like The Passiflora Championship, The Seven Cats Brawl or The Gwentlemen’s Open are a source of inspiration for the entire team, and we definitely want this part of GWENT to grow,” said Paweł Burza, Community Manager, CD PROJEKT RED. 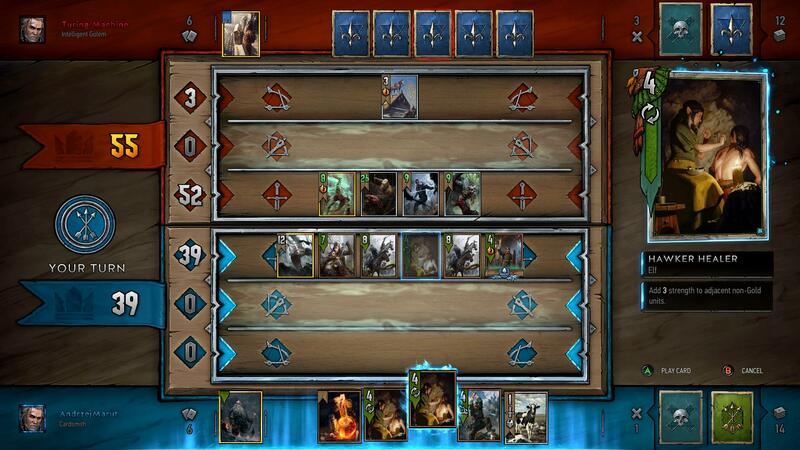 “GWENT: The Witcher Card Game was created because The Witcher community wanted it. Now we’re seeing more and more gamers wanting to play GWENT competitively, so here we are with a chance to play against some heavy-hitters, and a prize pool to spice things up,” said Marcin Iwiński, Co-founder, CD PROJEKT RED. “I can’t wait to see who wins!” Iwiński adds. 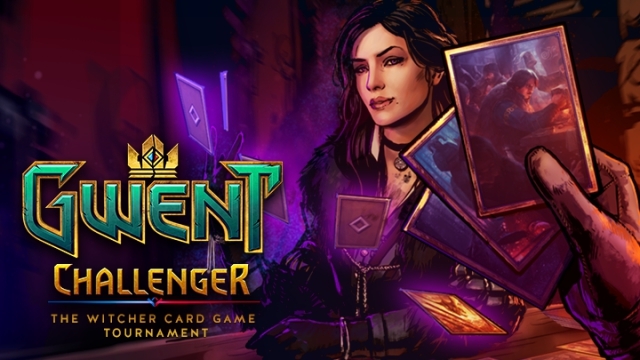 Registrations for GWENT Challenger Qualifiers, a detailed rule set, tournament roadmap and FAQ are all available on the official website. Thanks for your feedback regarding the "Emotes" system. You will be able to mute your opponent by clicking their avatar in the game, should you prefer to have a match without taunts. As far as having an option to disable this feature permanently, I cannot confirm anything at this point. Join us live on Tuesday, March 14th, at 9PM CET (12PM PST) on the CD PROJEKT RED Twitch channel! We'll be playing live matches with the community and talking about the changes and new features introduced with the latest update! As always we'll be answering your questions, so be sure to stop by! Our goal with single player campaigns is to tell more quality stories from The Witcher universe first and foremost - for us it's much more than just an additional game mode for free to play game, it's an opportunity to tell different kinds of stories and to explore different forms of narrative. Our team includes experienced writers and designers who worked on TW3, and we're all excited to work on it. I hope that you'll enjoy it as much as we enjoy making it. Stay tuned for more details. Thanks a lot for the questions guys! Any update on the Korean spam situation?? Apologies about this recent wave of spam. We are implementing a solution that will hopefully put an end to this.